If your gutter system needs a replacement, turn to 31-W Insulation. 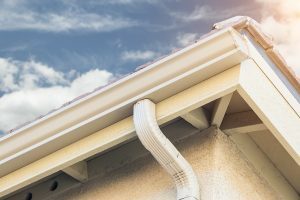 We proudly offer homeowners in the Nashville area of Tennessee seamless gutters by Spectra, one of the most trusted manufacturers in the industry. What’s more, the factory-trained employees at 31-W Insulation bring decades of experience and know-how to their job of installing replacement gutter systems that function flawlessly year after year. 31-W Insulation never uses subcontractors, so you can rest assured that our quality control standards are never compromised. Durability – They are made from aluminum alloy that’s built to last, and are securely fastened for extraordinary longevity. Ease of maintenance – Without seams, they are less prone to leaks and debris buildup. Custom fitting – Seamless gutters are measured and cut onsite for a perfect fit to your Nashville, TN, home. Color options – The wide array of colors makes it easy to find the look that suits your home. In addition, our seamless gutters are covered by a 20-year limited warranty to give you peace of mind in your investment. If you want to know more about professional gutter replacement services and products that are second to none in Nashville, TN, contact 31-W Insulation today.